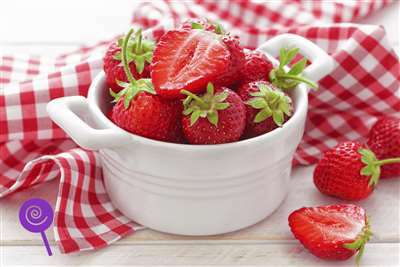 Fresh juicy and exotic strawberries merge to form a superior strawberry taste. WATER SOLUBLE, PG BASED, CONCENTRATED FLAVOURING WHICH MIXES WELL WITH OTHER FLAVOUR CONCENTRATES AND WORKS WELL AS A STAND ALONE. DILUTE BEFORE USE. INGREDIENTS: NATURAL AND ARTIFICIAL FLAVOURING, PROPYLENE GLYCOL, WATER AND GLYCERIN. **MAY CONTAIN DIKETONES. MAY CONTAIN TRACES OF NUTS.